It’s Saturday morning, and before I get started with the things that are on my “to do” list today, I needed to write. Today, seems like one of those days when life might be too much. 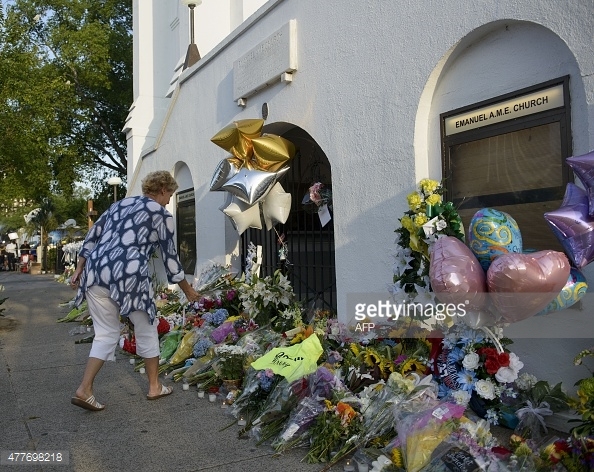 Wednesday, the unthinkable happened in Charleston, South Carolina. At this point it’s safe to say that we’ve all heard about a maniac, a thug, a lost soul that entered into Emmanuel AME, welcomed by the Bible study that evening. We’ve heard that this individual sat for an hour maybe listening, maybe not to the thoughts and hopes of this community of faith as they sought the Word in being stronger in their walk with the Lord. We’ve heard that he pulled the trigger on nine, killing them for no other reason but for their skin color. We’ve heard that he “spared” one, so that person might tell others why he did what he did, and it just makes no sense. None. And it’s confusing to me. It’s confusing for a million reasons. It’s confusing because the families that are broken have grace I can’t imagine if I were in the same place. They’ve grace enough to forgive the worst in us. It’s confusing because there is evidence that in this horrible moment that communities of faith come together to mourn, to pray, to talk and to share their experience. 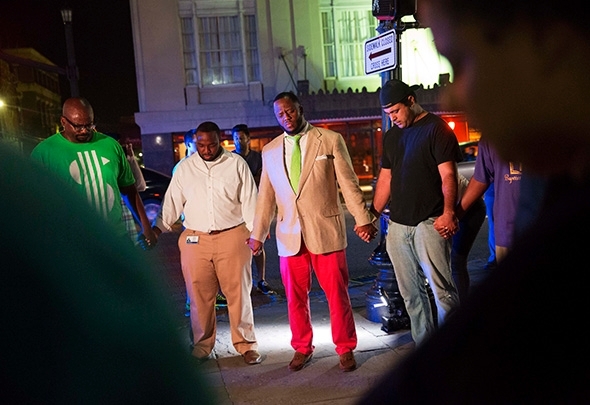 Held together in faith, not race nor political party. And, it’s confusing, because in this moment there is still so much that keeps us divisive. I can’t help but to think this isn’t the heart of God. From gun laws to parenting, to mental illness and addiction…there is so much that we’ll never know. And so before a day that is filled with housework, errands, eye appointments and otherwise seemingly mundane activities I need to stop myself, from being riled by what I see on television, read in social media and simply stop to pray. Pray for a community as they walk a path of grief and pain, for those who seek to find a reason “why”. 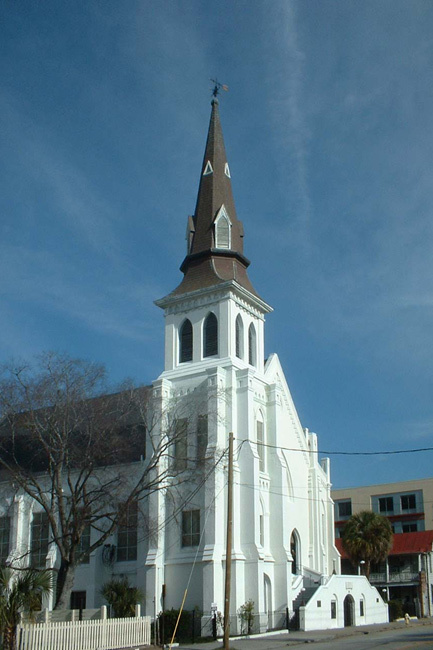 Racially motivated and horribly horribly evil….there just seems to me that there has to be something more. What is it that causes a maniac, a thug, in the truest sense of the work to bring harm to innocence. I need to actively work on not being pulled into the divisive, it’s so easy to be sucked in to… another aspect of the human condition I suspect. And then… a point blank shooting of a police officer in Louisiana, shot dead by the suspect he was transporting. Another senseless act, and another family that will never be the same. My ask for today, regardless of your faith or not, your scientific thought, or not… take a moment and seek understanding in whatever place it lives for you. My moment is in prayer, for Emmanuel AME, for hope that tomorrow perhaps we’ll hurt a little less and maybe understand a little more. This entry was posted in Life and tagged Emmanuel AME, Faith, Grace, Heal, Pray. Bookmark the permalink.